Flightax has been in business since 1990. We are members of the National Association of Tax Preparers, Indiana CPA Society, and the National Association of Enrolled Agents. We have prepared tax returns for over 5,000 clients in all 50 states and abroad at 56 different airlines. Our office is located in Cicero, Indiana, 20 miles North of Indianapolis. The key to our success is our knowledge of the airline industry, expertise in tax code and how the two affect you. The best way to keep up to date on the changes in the airline industry is to literally be a part of that industry. 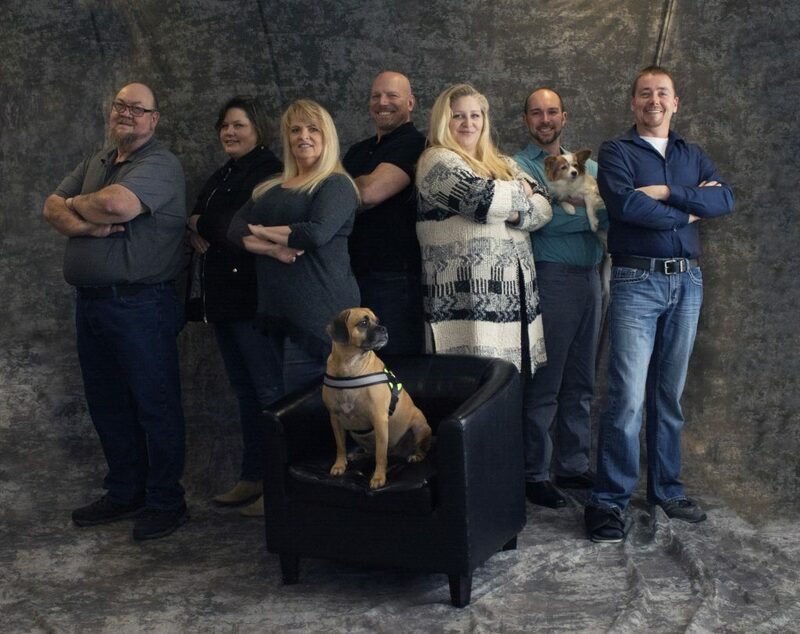 Left to Right – Mick, Kristen, Debbie, Brett, Shep, Dustin, Koko, Corey and seated, Sadie. 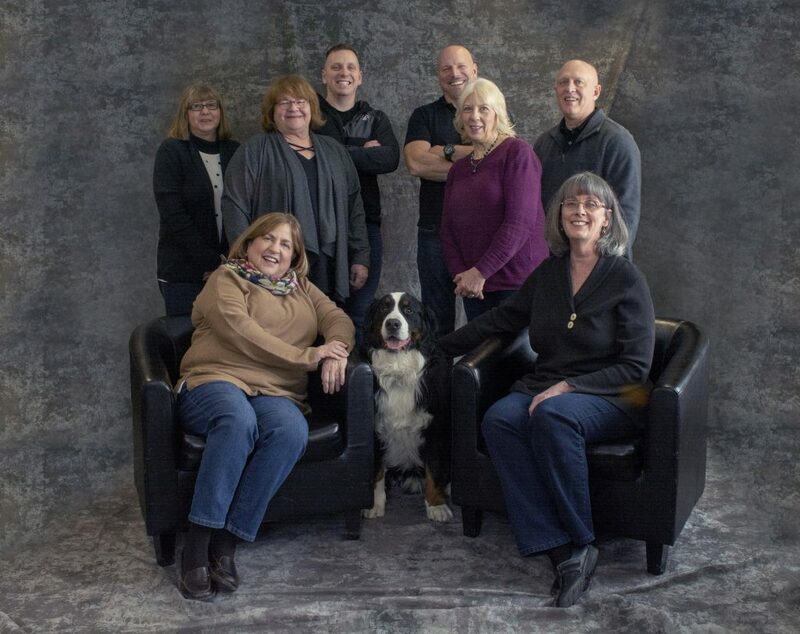 Left to Right – Back Row – Jane Ann, Jeri, Zach CPA, Brett, Bonnie EA, Don EA. Seated – Tricia EA, Cindy EA and Murphy in the middle. Zach Smith, CPA joined Flightax in 2014 after several years at a large regional accounting firm specializing in small and medium sized business. Graduating from Indiana University Kelley School of Business, Zach is responsible for overseeing the tax preparation staff and consulting services at Flightax. Specializing in the preparation of small business returns and complex personal returns, Zach is here to answer any of your questions large or small. In addition to our year round staff, Flightax employs an additional seasonal staff during tax season. Our people are here for you! Do not hesitate to contact any of our professionals for answers to your questions or consultations on your tax situation.